Classical pianist and composer, David Ianni, is touring Europe with his 'My Urban Piano' project and recently he paid our country a visit. The original piano track was captured at Tritone Studios in Luxembourg, using our AD/DA converters. “I can play anything from Beethoven to Rachmaninov, and this is what I have actually done for half of my life, but on the other hand I have this desire to break free from the world of classical music with my own compositions and to explore the realm of mainstream, in other words, to be able to appeal to a broader audience with my music,“ says David Ianni. Ianni also sets out to break free from typical concert halls, as one of the key aspects of his idea also involves bringing the music to the streets. Further, the project evolves around 12 compositions and the idea of visiting 12 Capitals of Culture pointed out by the EU on a rotation basis. One of the Capitals of Culture is Aarhus, which is the second-largest city in Denmark. 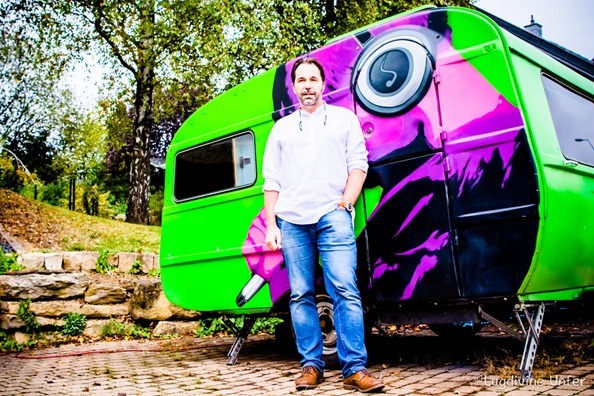 So, in his third episode of this journey, David Ianni paid Aarhus a visit to capture the 'Joy' video and to play concerts at local venues. But there is more to this original project than music. Part of the concept is also to have a local artist design a piano, which is to be used for that particular episode, and after the chapter has ended, the piano will be donated to a local cultural or social organisation. The original piano tracks for the videos are captured by Georges Majerus from Tritone Studios in Luxembourg. In this particular case, Georges used the mobile version of the studio, recording Ianni at a concert hall. We had the pleasure of talking to Georges earlier this year to learn more about hos he uses our AX32 and DX32 units in his studio, as well as for location recording in the field. “The AX32 is simply the center piece of our studio,” says Georges and elaborates. 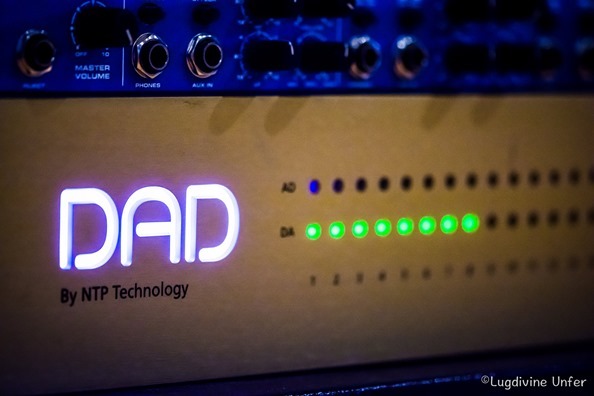 “The mic preamps are on the patchbay, as well as the analog outputs that we use to loop in analog output gear like tube compressors. And the fact that you can easily change the analog inputs from mic pres to line in signals is really great. First of all, it’s truly a blessing that the AX32 has preamps AND conversion on board. It’s basically analog in and digital out without having to worry about anything. I have a total of 24 analog preamps installed in the AX32 and to my ears they sound extremely open and transparent. They have a lot of gain to drive even the most demanding microphones – for instance an SM7. David Ianni was also very pleased with the result of the recording sessions: "Although I play upright pianos in the videos, I wanted the sound for my videos to be top notch. That's why I decided to record the tracks for 'My Urban Piano' on a Steinway D model. I am extremely happy about the clear and crisp, yet very warm sound of the piano recordings that Georges Majerus made using his DAD converters." Just to wrap up, we spotted a shared characteristic between David Ianni and Georges Majerus - apart from the passion for great sound, of course - as they both seem to enjoy strong and vibrant colours in their lives. 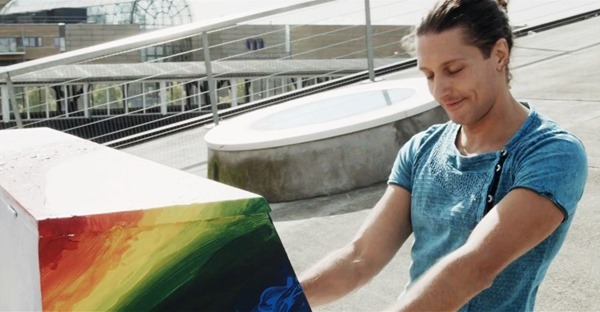 Ianni's piano in JOY is very colourful, and according to the local artist, who designed it, it is inspired by the rainbow 'Bifrost', which is taken from the Nordic Mythology. Now it's time to simply kick back and listen to David Ianni's third episode of his inspiring project, Joy, captured right here in Denmark. You might want to run the video twice, closing your eyes and focus on the music and the sound, but also make sure to actually watch the video that offers a glimpse of Denmark, beautifully captured and embedded in a great composition and musical performance! Finally, also check out this video that tells the story behind shooting the Aarhus episode.